Trend anticipating a number of vendors related to the presence of a family of 8th generation Intel Core processor or known as Intel Coffee Lake, it seems that does not apply to Lenovo. It seems that the company is rumored to just show off some of its latest ammunition including three of its newest Legion-branded gaming desktop PCs that rely on the power of 7th generation Intel Core (Kaby Lake) processors at Gamescom 2017. 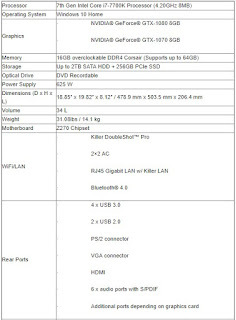 The three gaming desktop PCs are Lenovo Legion Y920 Tower, Lenovo Legion Y720 Tower, and Lenovo Legion Y520 Tower, all of which equally carry the greatness of gaming qualified with the option of 7th generation Intel Core i7 / i5 / i3 processor. 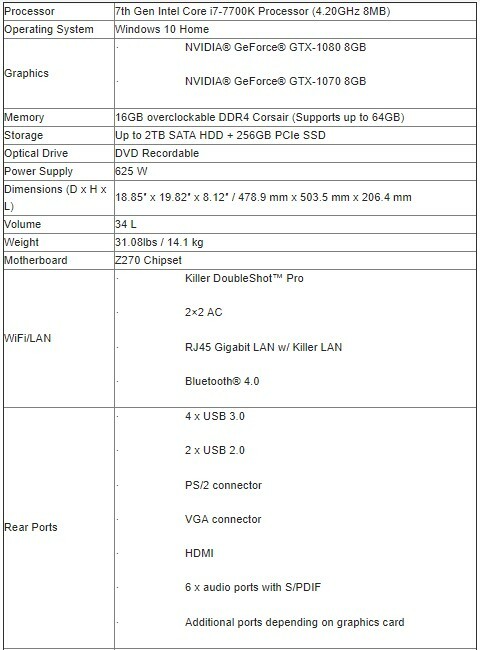 Which offers unlocked CPUs, the Lenovo Legion Y920 Tower comes with Core i7-7700K or i5-7600K. All CPUs have been water-cooled, while liquid cooled options apply only outside the United States. While the processor selection is limited to a single brand of CPU, the desktop graphics option of Lenovo Legion Tower comes from a major manufacturer, which offers Nvidia graphics card support as well as AMD as its flagship graphics performance. Especially for Legion Y920 Tower model can use graphics card Nvidia GeForce GTX 1080, 1070, and 1060 (6GB), or with other option that is AMD Radeon RX 580 graphics card. 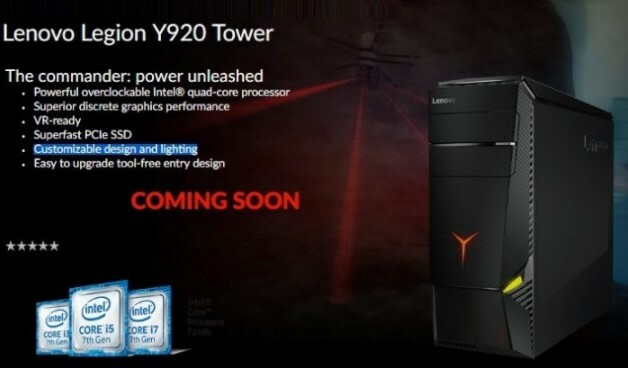 Rely on Oculus Certified and VR ready, the new Lenovo Legion Y920 will be available in October, with prices starting at $ 2000.